The human body is an incredibly complex machine, but there are only four main biological molecules that make up our bodies— fats, proteins, carbohydrates and nucleic acids. Lecithin is a fat that occurs naturally in many plants and animals. Fat may have a bad reputation, but it’s essential for our survival. It regulates our body temperature, allows us to store vital nutrients and protects our organs. Lecithin is a special type of fat called a phospholipid, which protects and gives structure to cells. It also converts into acetylcholine, a chemical messenger your brain uses to send messages around your body. The liver naturally produces lecithin, but we also need to consume it regularly for good health. It is quite abundant in nature, being particularly ample in a variety of sources from soybeans to seeds to fish. 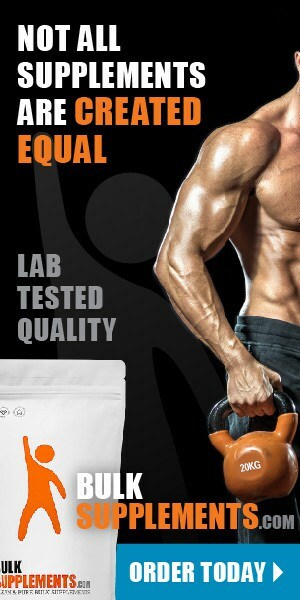 Lecithin is a requirement for proper cell function as it aids in the absorption of nutrients. Pregnant women often receive a supplement because fetus development requires lecithin. Lecithin also keeps your liver healthy, treats memory illnesses like Alzheimer, benefits your skin, and more. Studies show that a lecithin-rich diet can increase HDL (“good”) cholesterol while significantly lowering LDL (“bad”) cholesterol. In one study, participants who took a daily lecithin supplement for two months reduced their overall cholesterol levels by more than 40 percent–and reduced their LDL levels by a whopping 50 percent (x). Lecithin could improve immune function, especially in those with diabetes. Studies show that lecithin supplements may boost white blood cells, which destroy cancer cells, infectious microbes, waste products and other foreign substances in the body (x). Lecithin also increases the number of natural killer cells–key components in your immune system that fight off invaders (x). Lecithin may help alleviate symptoms associated with ulcerative colitis, an inflammatory bowel disease that affects some 900 million Americans. It could help ease cramping, pain, bloating, and bleeding associated with the disease. It may even help rebuild the protective mucus lining in the intestine for better digestive health (x). Damaged or inflamed bile ducts can cause liver disease. Research shows that lecithin supplements can reduce liver damage caused by cholestatic liver disease (x). Your liver makes bile, but your gallbladder stores it, and your body uses it break down fats such as cholesterol. When bile levels become too high, they can damage your gallbladder by digesting the organ’s fatty cell membranes. But lecithin can keep bile salt levels in check, protecting the health of your gallbladder (x). Lecithin can increase levels of choline–an essential nutrient crucial for proper brain development. Choline derived from lecithin can, in turn, increase the amount of acetylcholine in your brain, which rebuilds neuron connections that have degenerated due to age or disease. One study combined lecithin with phosphatidic acid and found that over the course of three months, the supplement combination improved thinking capacity, memory and mood in study participants (x). In another study, the same blend of supplements also improved the general condition, daily function and mood of Alzheimer’s patients (x). Lecithin may also improve symptoms of certain neurological disorders, like tardive dyskinesia, a disorder in which a person makes repetitive, involuntary movements. Research shows that lecithin can reduce these movements in patients with the disorder (x). Lecithin may be an effective alternative treatment for bipolar disorder in children, and could reduce mood swings (x). It also contains a compound that helps with panic disorder, alleviating feelings of anxiety and restlessness (x). And in a small study on patients with mania, five out of six noted improved mental health after taking lecithin supplements (x). Lecithin could also help you cope with stress. Everyone experiences stress, but when it becomes overwhelming, it can lead to serious health problems including depression, heart disease and stroke. Some studies suggest that lecithin can increase resilience to stress and reduce side effects of stress (x). 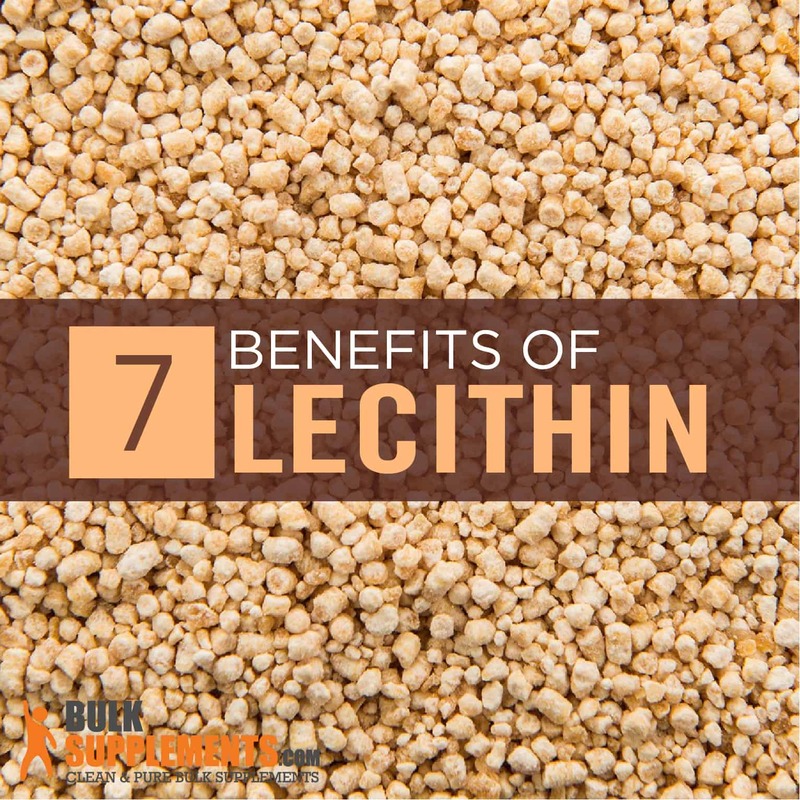 Lecithin can improve your body’s ability to absorb nutrients. Supplements such as grape seed extract, curcumin and green tea all appear to have higher absorption rates when taken with lecithin (x). It is important to note, however, that while improved absorption sometimes improves the effect of medication or supplements, more isn’t always better. If the body has no place for the extra medicine to go, it could cause more problems than it solves. You should check with your doctor before taking any supplements that interact with your medication. In nursing mothers, clogged milk ducts can make breastfeeding painful and even lead to an infection called mastitis. But lecithin could help prevent mastitis in women, according to The Canadian Breastfeeding Foundation (x). As long as you adhere to the recommended dosage, lecithin is safe to take for healthy adults. Most lecithin supplements come from soybeans, eggs or sunflower seeds. Those with a sensitivity to these foods should use caution when taking lecithin. High doses may cause side effects such as diarrhea, nausea, abdominal pain, increased saliva production and/or a sensation of fullness. Lecithin may cause blood to clot, so talk to your doctor before taking this supplement if you have a clotting disorder or a history of heart disease (x). Since lecithin mimics hormones, talk to your doctor before taking lecithin if you have a hormone-sensitive condition. Lecithin is plentiful in many different foods, both plant and animal. Besides eggs, soybeans and seeds, other whole food sources that are high in lecithin include cod, salmon and shrimp. Milk also has a fair amount, as do Brussel sprouts and broccoli (cooking offer higher levels than raw). Kidney beans and black beans contain it as well, as do peanuts. Most animal products contain lecithin, as do sources like corn and other grains. Pure lecithin powder: As a dietary supplement, take 1200mg (just over ½ tsp) one to two times daily, or as directed by a physician. For best results, take with a meal. Lecithin softgels: As a dietary supplement, take 2 softgels one to three times daily, or as directed by a physician. **The statements in this article have not been evaluated by the FDA. Supplements are not intended to diagnose, treat, cure, or prevent diseases- instead, they help maintain your long-term health.